RP-Sanjiv Goenka group has appointed consultants to evaluate options whether to demerge or launch an IPO of its retail venture Spencer's Retail. 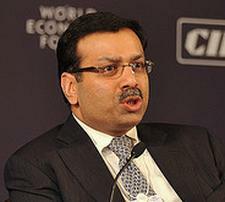 The group will either undertake 'mirror level demerger' of Spencer's Retail from CESC or will go for IPO in the present corporate structure, group chairman Sanjiv Goenka said in Kolkata on Tuesday. "We have appointed consultants KPMG and Ambit for their report which is expected by March end or early April," he said. Goenka said in case of IPO, Spencer's will no longer remain a subsidiary. At a time when Spencer's is close to break-even, the group is looking for options like demerger or IPO of the retail venture. when the company was in heavy loss mode. Spencer's aimed to break-even in Q4 2013-14. Buoyed by developments on the retail FDI front, the group company was planning to expand opening new stores in several cities. He said sales per square feet have reached Rs 1,230 from Rs 1,050 for the same period last year. "To give an instance, the revenue from a special four-day sale offer this month was Rs 29 crore (Rs 290 million) against Rs 12 crore (Rs 120 million) last year," Goenka said. But there was poor feedback from customers due to unavailability of stock of some products meant for the February 2013 sale.